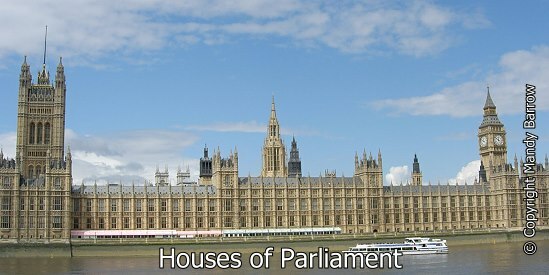 The Palace of Westminster, known also as the Houses of Parliament or just Westminster, is where the two Houses of the Parliament of the United Kingdom (the House of Lords and the House of Commons) conduct their sittings. 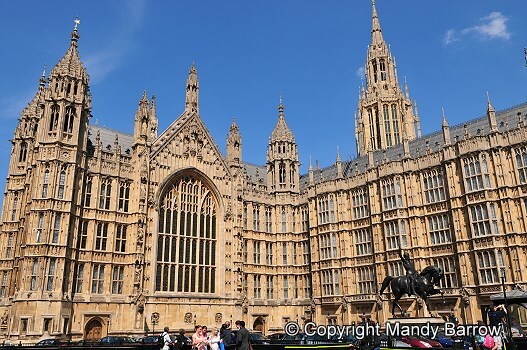 It is the place where laws governing British life are debated and passed. 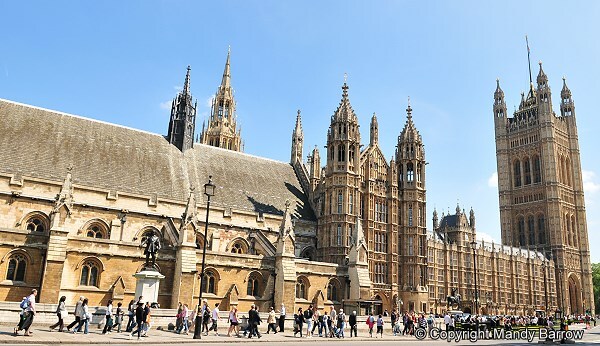 From the middle of the 11th century until 1512 the Palace of Westminster was the royal home to the Kings and Queens of England, hence the name. 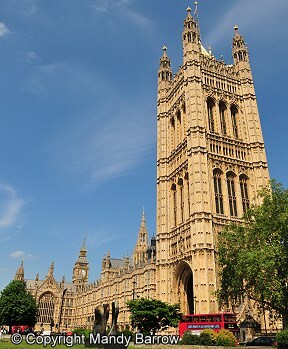 The Palace of Westminster features three main towers. Of these, the largest and tallest is the 98.5-metre (323 ft) Victoria Tower, which occupies the south-western corner of the Palace. The Queen rides in a State coach to Westminster to open each new session of Parliament, usually in the second week in November. Only Westminster Hall (scene of many trials, such as Guy Fawkes' and Charles I's) and St Stephen's Crypt escaped the great fire of 1834. Over 700 years of history were destroyed in that dramatic fire. The fire gave Sir Charles Barry the opportunity of designing the Gothic Houses of Parliament we know today. The modern Palace of Westminster is the largest Gothic building in the world - there are over 1,000 rooms and two miles of corridors in it. 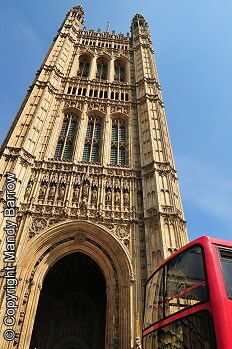 The Palace of Westminster contains the bell Big Ben.